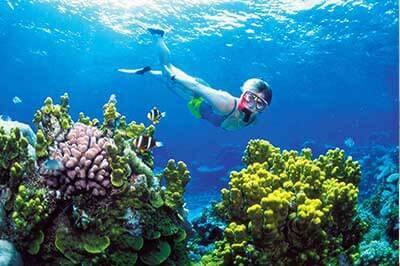 This tour plan is covered amazing golden sandy beaches with coves, bays, lagoons. 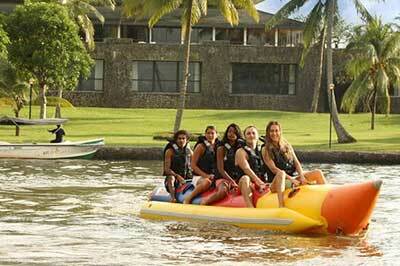 Beach lovers can enjoy the sunsets, sand, swimming, water sport and more. 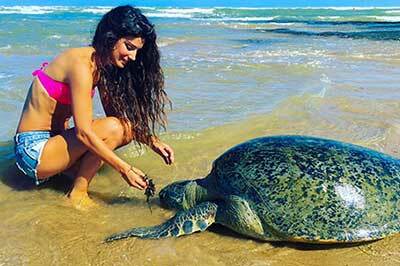 Sri Lanka beach tour will bring you to the wonderful memory with experience as the feature of this package. 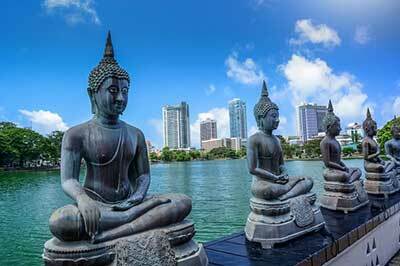 Meet and assist at Colombo international airport by our company representative and proceed to the hotel in Negombo. Overnight stay at the hotel in Negombo. 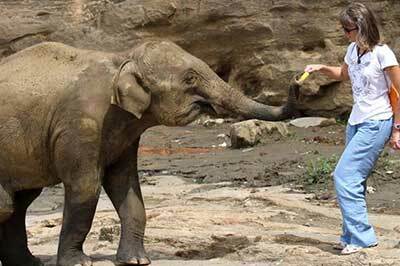 After breakfast proceed to Dambulla via Pinnawala and visit the elephant orphanage. 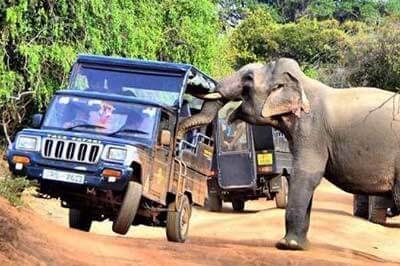 Pinnawala which is about one hour away from the Kandy town, is one of the largest elephant orphanages where they rear Elephants that were lost to their herds by human-elephant conflict and by falling into pits. 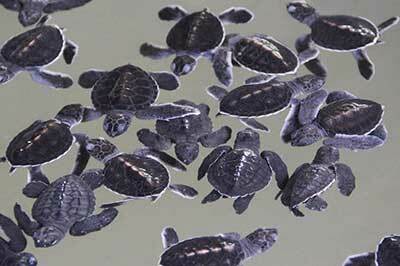 Most of them are baby elephants. 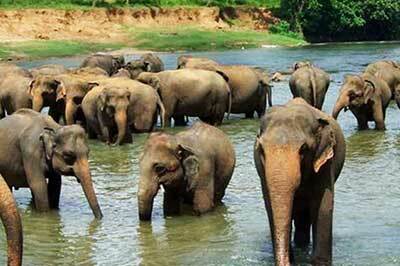 The elephants are fed at the orphanage and bathed in the nearby river twice a day, which will be an unforgettable experience for you. Continue to Dambulla and check-in to the hotel. 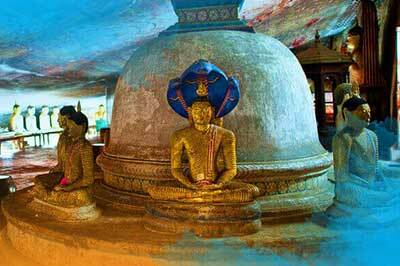 In the evening visit Sigiriya. 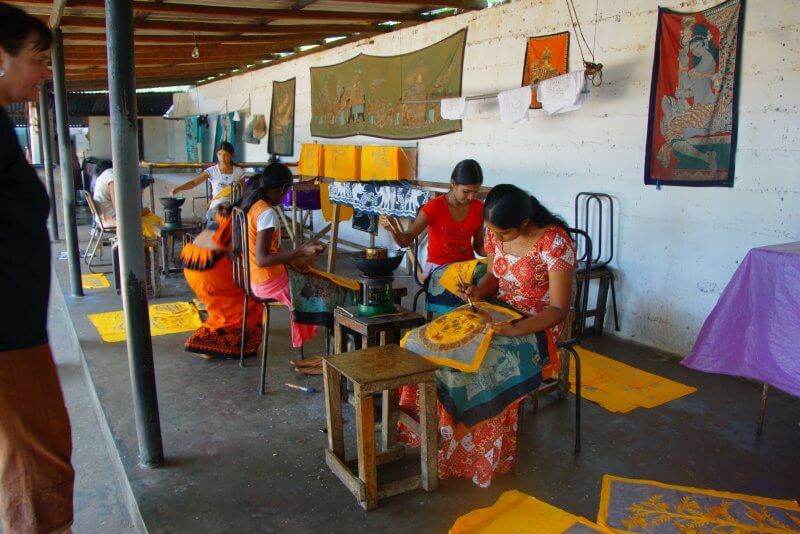 One of Asia’s major archaeological sites, Sigiriya presents a unique concentration of fifth-century urban planning, architecture, gardening, engineering, hydraulic technology and art. 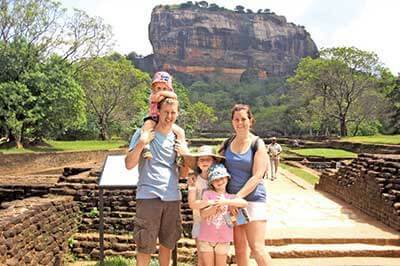 Sigiriya Lion Rock Citadel of Sri Lanka built by King Kasyapa in the 5th century A.D. It was the royal citadel of King Kasyapa for more than 18 years. 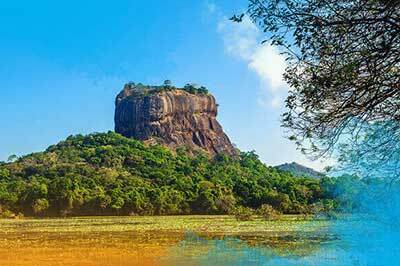 Sigiriya has been named as a World Heritage Site by UNESCO in 1982. 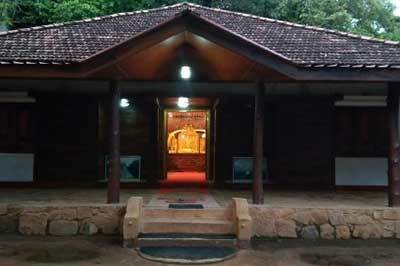 On completion return to the hotel in Dambulla.. Overnight stay at the hotel in Dambulla. 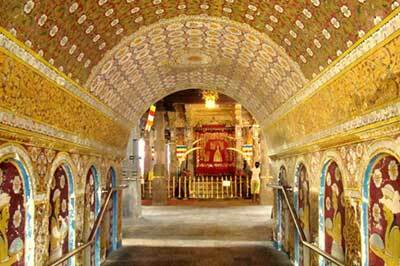 After breakfast visit Dambulla Rock temple. 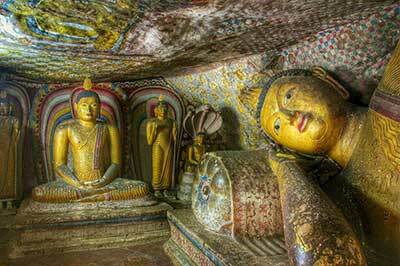 Dambulla Rock Temple is a magnificent Gallery of Buddha images and wall and ceiling paintings. 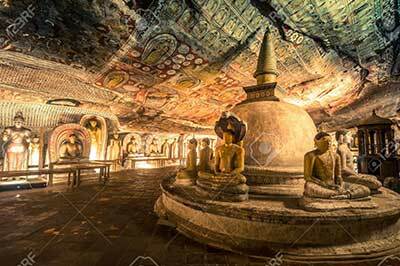 It is a complex of five cave temples with its origin going back to the Anuradhapura period (1st century BC). 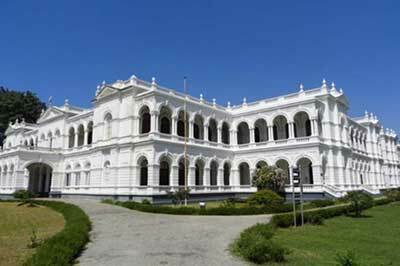 However due to additions and restorations done by various rulers over the past two thousand years what now remains are mostly the works of the Kandyan period (18th century). 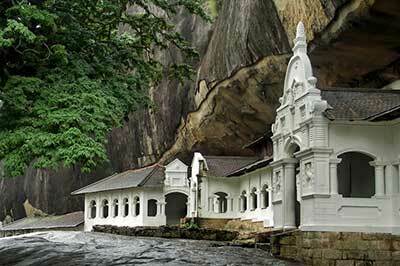 On completion proceed to Kandy via Matale. 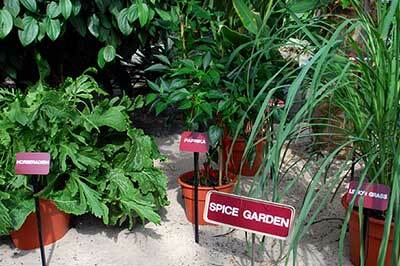 Visit a spice garden in Matale to see many different types of spices Sri Lanka is famous for. 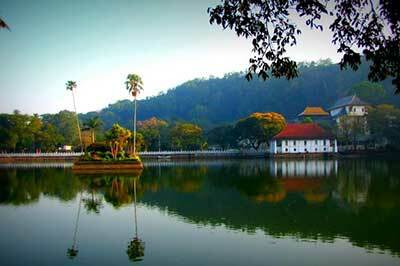 Just 25 km from the hill capital of Kandy, the Matale spice gardens are among the best on the island. 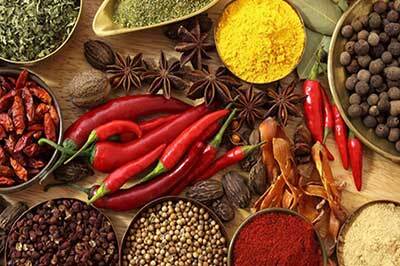 You will be introduced to different spices and shown how some of these spices are grown and processed. Continue to Kandy. 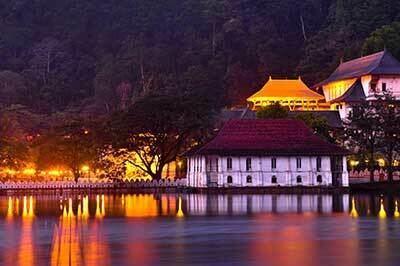 Kandy, a world heritage site, is home to numerous Buddhist temples including the sacred Temple of the Tooth Relic. 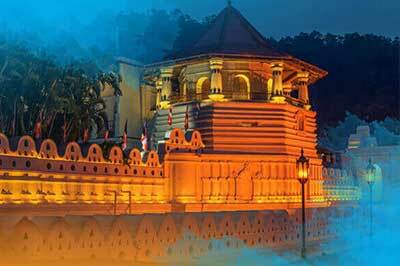 Set in a valley surrounded by rings of mountains, the city of Kandy is the gateway to the Salubrious hill country of Sri Lanka. In the evening enjoy a cultural show of traditional dances. 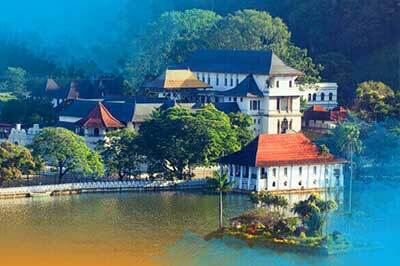 Overnight stay at the hotel in Kandy. 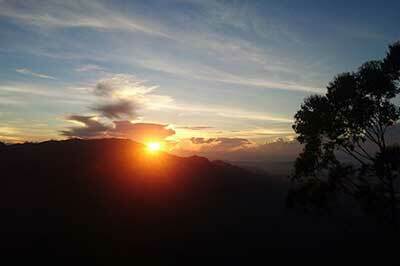 After breakfast proceed to Nuwara Eliya. 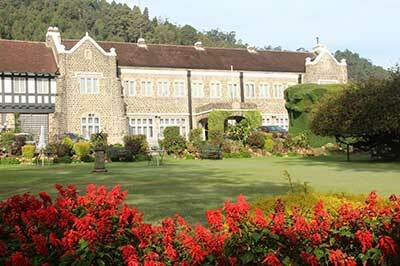 Nuwara Eliya of Central Highlands of Sri Lanka at an altitude 6,200 ft. above the sea level was made into a health resort by the British in the 19th century. 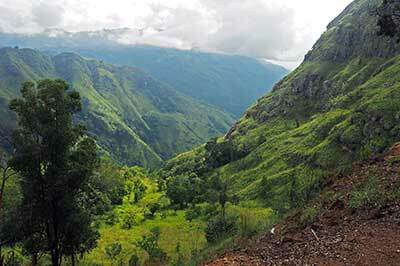 Such is the character of the district of Nuwara Eliya, with its home gardens of plants and flowers and cultivation of vegetables, even today it is known as Little England. 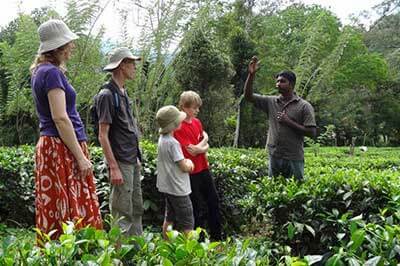 En-route visit to a tea plantation Sri Lanka is one of the world’s largest exporters of tea. 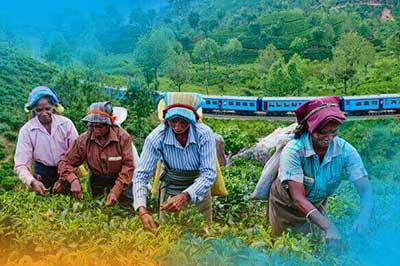 Since the introduction of tea to Sri Lanka in mid 19the century Nuwara Eliya has been the capital of the tea industry. 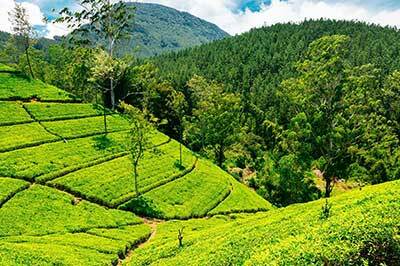 For many miles prior to reaching Nuwara Eliya from either direction you will find acres and acres of tea plantations. 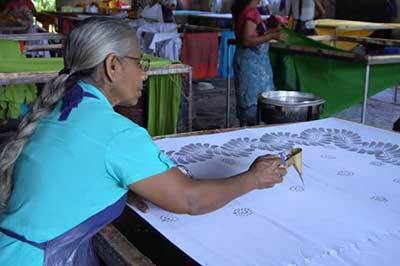 There are many factories open for visitors which also have tea sales outlets. 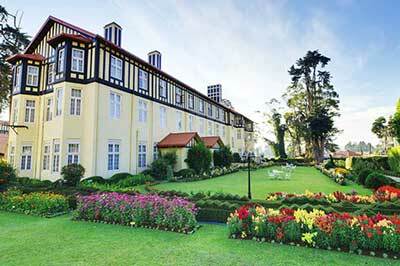 Overnight stay at the hotel in Nuwara Eliya. 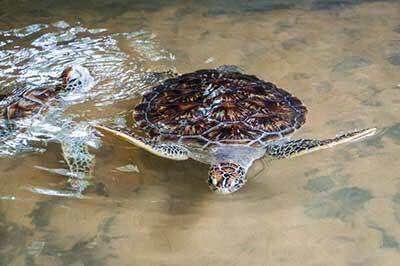 After breakfast proceed to Yala. 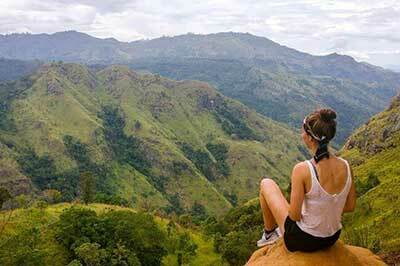 On the way to Yala, pause at the paradise like village of Elle to admire the magnificent view of Ella gap. 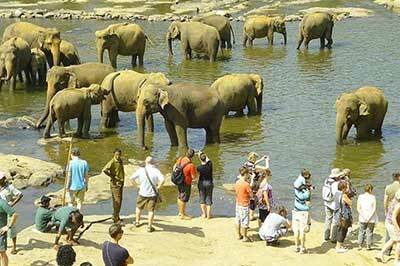 Continue to Yala, and do a safari at Yala National Park. 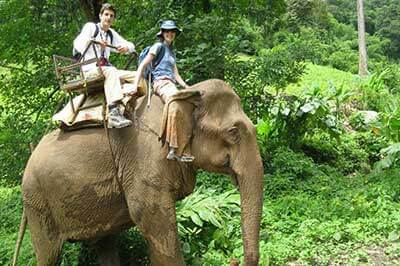 The Elephant, undoubtedly the best known attraction at Yala is seen in small & large herds. 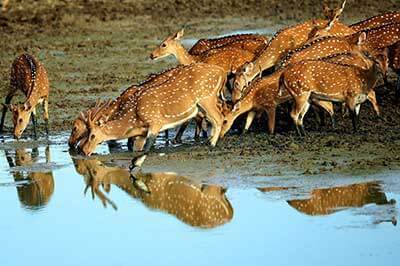 Herds of spotted deer are seen all over the park. Monkeys-the pinkish rhesus and the Grey-faced Langur Monkey, live and play on the tree-tops and the ground below. 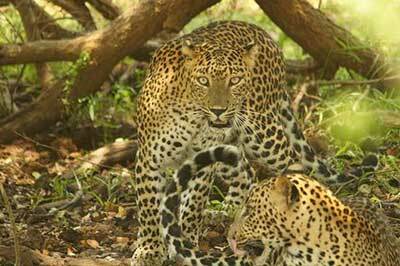 Wild buffalo & wild boar could give you a good surprise & the sight of a leopard sunning itself or drinking water at a water hole could be memorable experience. The peacock is easily the most famous of the birds at Yala. The painted stork, many varieties of heron, the spoonbill, the bee-eater, parakeets, and king-fisher & wood pecker are some of the birds can be seen in the park. Overnight stay at the hotel in Yala. 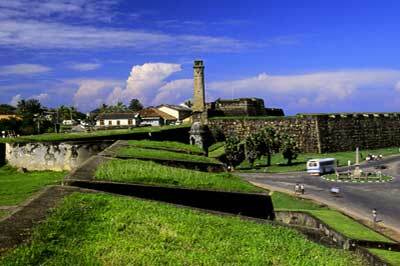 After breakfast proceed to Galle. 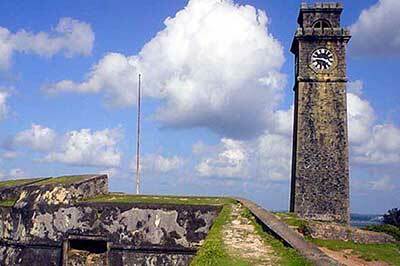 Galle is home to a Dutch Fort, a world heritage site, and one of best preserved Dutch forts of Asia. 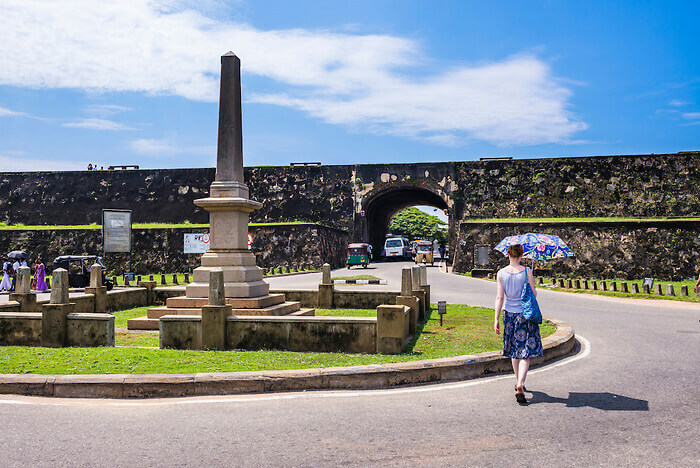 Originally built by the Portuguese and fortified by the Dutch, the fort was well used by the British for their administrative purpose of the Galle district. 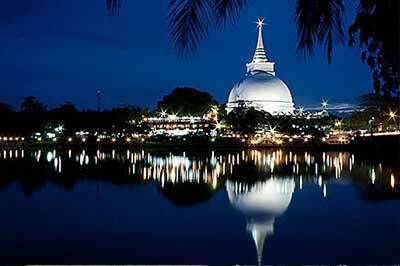 Thereafter proceed to Hikkaduwa. Overnight stay at the hotel in Hikkaduwa. After breakfast proceed to South West coast of the country. 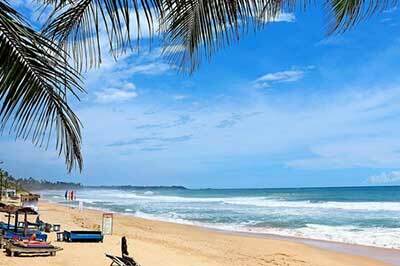 Sri Lanka, an island floating in the blue waters of the Indian Ocean and the Bay of Bengal. 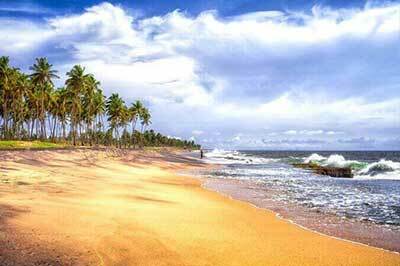 Endowed with over a thousand miles of beautiful beaches fringed with coconut palms. 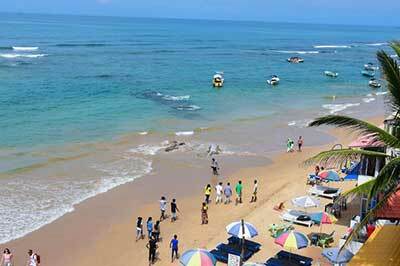 You can also stop on the drive down the west coast for interesting side trip like visiting a batik factory or a turtle hatchery, paying your respects at the local temple or sampling the local fruit and getting first-hand knowledge on the art of toddy making. 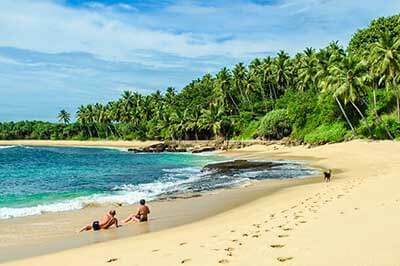 Overnight stay at the hotel in Bentota – Beruwala – Kalutara. Full day at leisure. 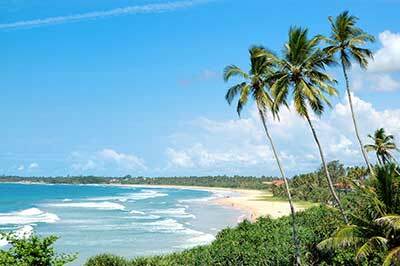 Overnight stay at the hotel in Bentota – Beruwala – Kalutara. After breakfast proceed to Colombo. 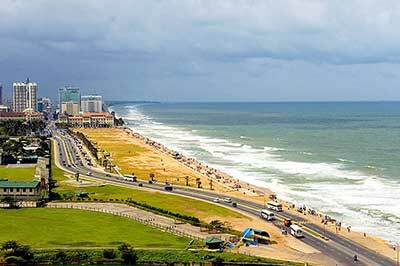 Colombo, Sri Lanka’s bustling capital, is located on the country’s west coast and is by far the country’s biggest city, as well as its window on the world. The city is a jarring mix of old and new, with a central cluster of high-rise office blocks and hotels overshadowing red-tiled colonial-era buildings and sprawling street markets which overflow with high piled fruit and vegetables, colourful silks and cottons, and deliciously fragrant spices. 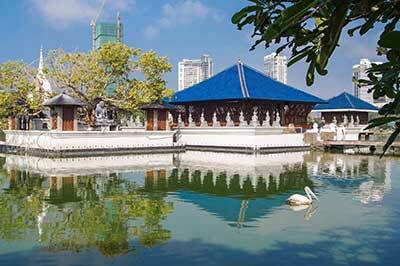 Colombo offers many interesting venues that you can visit. 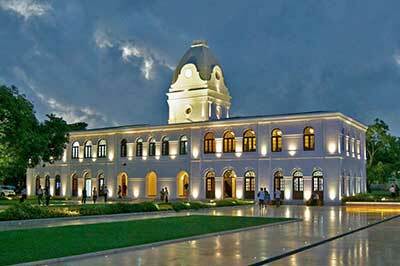 The Galle Face Green Promenade, the National Museum, the National Art Gallery, the Independence Square, the Dutch Museum, Gangarama Temple, the Dutch hospital premises which has been converted into a mall, and the National Library. Shopping options are widely available while the night life is indeed enjoyable. Overnight stay at the hotel in Colombo. 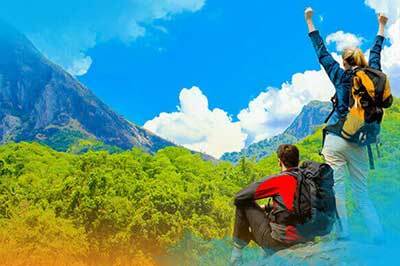 Copyright Asanga Tours @2018. All Rights Reserved.